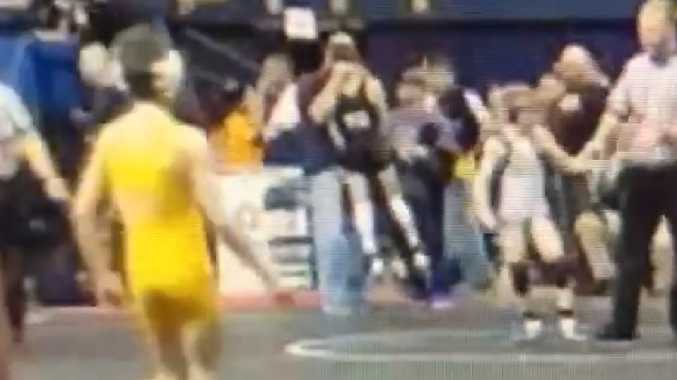 A six-second clip posted to Facebook purportedly shows Eric Angle picking up a 12-year-old boy during Saturday's Pennsylvania Junior Wrestling Championships held at Petersen Events Center in Pittsburgh. It's unclear what preceded the action, but Angle, 51, can be seen shouting in the youngster's face as he returns to his feet. "No one should ever take their kids Angle Elite Wrestling," a caption accompanying the video read, referencing Angle's gym in Pittsburgh. Kurt Angle has not released a public statement. Angle, who lives in nearby Wexford, did not return a message seeking comment Tuesday. He was arrested by University of Pittsburgh police on a charge of simple assault after the incident, university spokesman Joe Miksch confirmed to The Post. Angle was escorted off the property that day by university police and told not to return. Miksch said he did not have any additional information regarding Angle's arrest, including an incident report detailing the allegations. 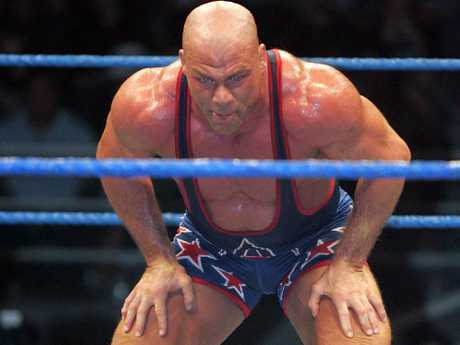 Angle, a former wrestler himself who last appeared in the WWE in 2003, said he's distraught about his actions, which took place after the unidentified wrestler lost his match, witnesses told WTAE. "I should have just walked away and let him get thrown out," Angle told the station. "Instead, I'm the one who embarrassed myself even more." Reps from Pittsburgh Junior Wrestling are co-operating with investigators, WTAE reports.